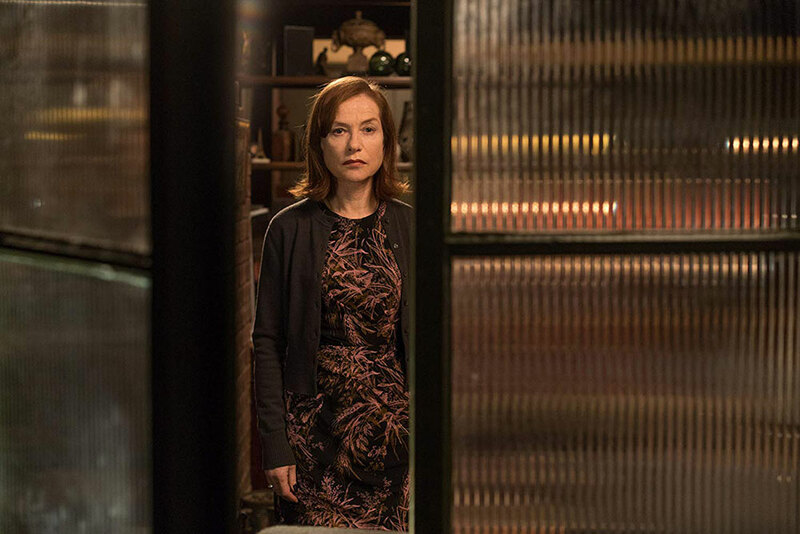 Stellar performances from its two leading leadings make “Greta” an entertaining watch, but a one-dimensional villain and lack of depth hold the film back. In Neil Jordan’s stalker thriller Greta, we follow a creepy and intense stalker story portrayed by captivating leading ladies Chloë Grace Moretz and Isabelle Huppert. However, despite its strengths, the film leaves little substance in comparison to what it could’ve been if it had dug even slightly deeper than its surface. The film centers around a young woman named, Elle (Chloë Grace Moretz) who craves maternal love after her mother’s death. One day, Elle discovers a lost handbag on the train and decides to return it to its owner using the ID found in the bag. The owner is a lonely French woman named Greta (Isabelle Huppert) who easily establishes a mutual friendship with Elle that soothes each other’s needs for mother-daughter affection. However, Elle soon discovers that Greta constantly leaves handbags on public transport in order to lure kind souls to her. Disturbed, Elle attempts to end the friendship, not realizing the extent of Greta’s dangerous desperation. The highlight of the film resides in Moretz’s and Huppert’s performances. Moretz portrays the naïve and lonely Elle with an effortless flare, while realistically extorting the genuine kindness and goodwill of her character. Elle’s kind nature allows the audience to sympathize with her, allowing for the unfair and terrifying nature of her stalking to completely pull us into her point of view. Her naivety and reluctance to end her friendship with Greta is forgivable due to her blinding kindness and due to her understandable need for the motherly love she is missing. This makes it a little difficult to be too frustrated with her as she digs herself deeper into trouble with Greta, who may well be a physical metaphor for Elle’s loneliness, coming after her as she attempts to ignore it. 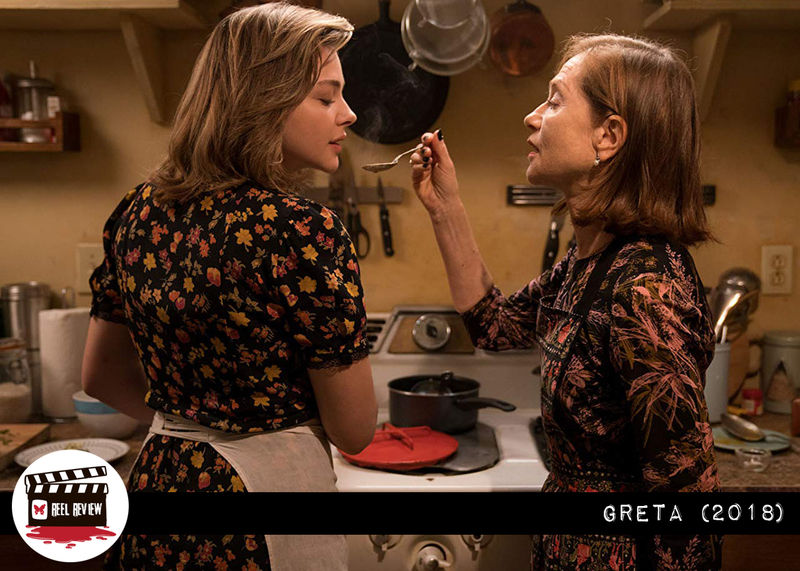 Opposing Moretz, Huppert plays the desperate and delusional title character, Greta with an edgy creepiness that exists from the very start and grows until it peaks in the most horrid circumstances. Her delusion and warped psyche are relayed not only through Huppert’s brilliant acting but through the dialogue she performances. Lines such as “she [Elle’s mother] had to die! She had to die for us to meet!” reflect the character’s non-existent empathy towards others and her blinding need for human interaction and affection. Further cementing her evil side, Greta also only seems to act motherly for the sake of luring in her victims and giving them a reason to consent to the relationship, that is until they try to leave and her means of communication is cut off. Unfortunately, despite Huppert’s performance, there isn’t much to Greta beyond her obsessive and violent tendencies. Despite using it as a motive for her unrelenting stalking, the film doesn’t delve much deeper into Greta’s loneliness (caused by the death of her husband and the suspicious absence of her daughter). Greta, the character and the film itself, has the potential to be a great message about the damaging effects of loneliness, isolation and our reactions to it. What effect does it have on us? What are we willing to do to end our torment? However, it doesn’t have the courage to dip past the shallows. If the emotional side of Greta was further explored, it may well have made her a more multilayered character and interesting antagonist beneath of her horrifying surface. In all fairness, it’s easy to imagine that the filmmakers decided not to dig deeper into this aspect in fear of excusing Greta’s unforgivable behavior, but the lost potential in this film leaves it lacking a deeper substance that even good acting, dramatic twists and creepy atmosphere cannot salvage.